MOSCOW (Sputnik), Tommy Yang - South Korea, a key US ally in the Asia-Pacific region whose national security relies on US military protection, may seek to boost its independent defense capabilities, taking into account the latest unsuccessful test of a Hawaii-based US missile defense system to intercept its designated target, experts told Sputnik. Amid rising tensions on the Korean Peninsula as a result of the rapid advance of North Korea’s nuclear arms program in 2017, South Korea completed the deployment of the US Terminal High Altitude Area Defense (THAAD) system, despite strong oppositions from neighboring China and Russia. 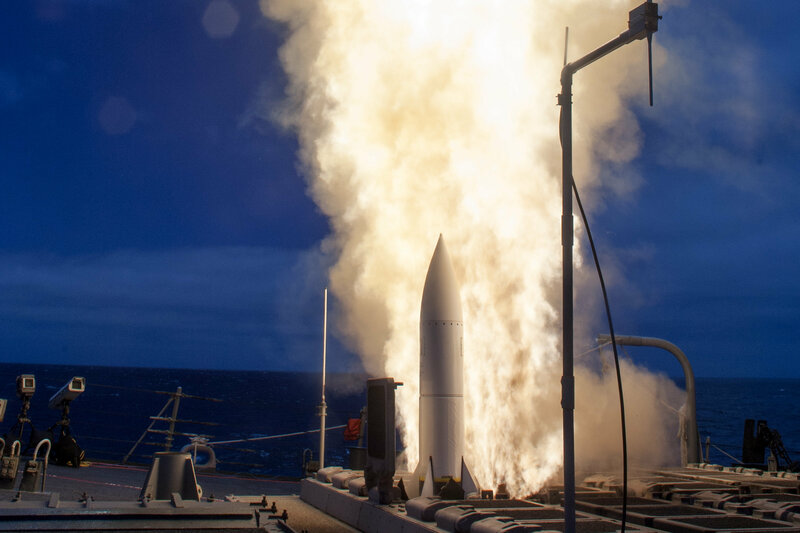 The US military has conducted a number of tests in recent years to demonstrate the capability and effectiveness of its missile defense systems. During the latest test on Wednesday, US Navy sailors manning the Aegis Ashore Missile Defense Test Complex conducted a live-fire missile flight test using a Standard-Missile (SM)-3 Block IIA missile launched from the Pacific Missile Range Facility in Hawaii, Mark Wright, a spokesman or the Missile Defense Agency (MDA), said. Pentagon spokeswoman Dana White confirmed during a press briefing on Thursday that the test "did not meet our objectives," adding that the US military learned something from this test and will continue to improve its capabilities. "While we are disappointed that we did not demonstrate a successful intercept, we did demonstrate significant advances in capability and collected valuable test data," MDA Director Air Force Lt. Gen. Samuel Greaves said in a statement after the unsuccessful test. Similar to US territories, such as Guam and Hawaii, which North Korea threatened to target with its improved intercontinental ballistic missiles (ICBMs), South Korea faces such threats from its neighbor because of the close proximity between the two nations. The latest failure of US missile defense system during tests raised questions among South Korean experts on whether Seoul needed to develop more independent defense capabilities — a nuclear arsenal, for example. "I’ve always been skeptical about the potential of shooting down [incoming missiles]. I don’t think it’s going to be a final resort. We should probably try to take US tactical nuclear weapons back to the Korean Peninsula. If that turns out to be not quite practical, then we might be considering developing our own nuclear arsenal within a year or two. I believe the latter option might be more practicable and economical," Suh Kune-yull, a professor of nuclear engineering at Seoul National University, told Sputnik. The sea-based Aegis missile defense system that failed the recent live-fire test is a different system from the land-based US THAAD system. The US military conducted two missile interception tests with the THAAD system successfully in July. However, the Seoul-based expert remains unconvinced about the effectiveness of either US missile defense systems. "My feeling is that the THAAD is even worse, because the range is even shorter and narrower than the one that’s been tested and failed a couple of days ago. I believed not many people in South Korea believe in deploying the THAAD system. The systems are here already. That’s it. I don’t think we’re putting too much weight on this. They may not be working in the future. I don’t think it’s hurting to have them. But I also don’t think it’s that beneficial," Suh said. The South Korean expert argued that the US missile defense systems may not have a high success rate in intercepting incoming missiles. "I’m skeptical about the fact that they’re trying to shoot a fast moving bullet with another bullet. That success rate might be 50 percent," he said. After two successful tests of the THAAD system in July, the MDA said it had successfully intercepted test targets 15 times. However, for the Aegis system, a previous test in June also failed, while the previous successful test came in February 2017. According to data from the MDA, the Aegis system successfully intercepted 35 targets out of 44 attempts, including the recently failed interception. Other South Korean experts argued that people should not read too much into the recent failed US missile test, as it is part of the testing process of new defense systems. 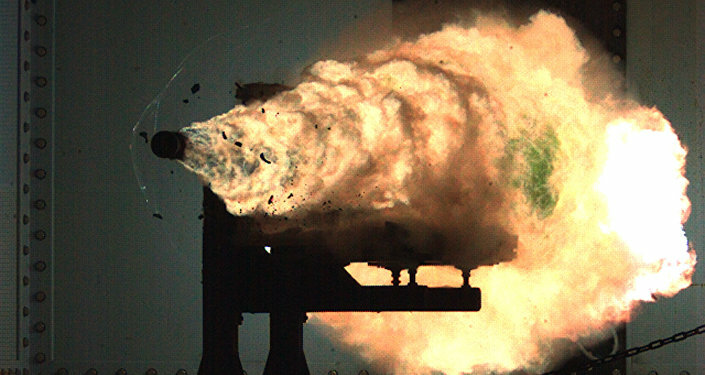 "I think this is a normal process of developing new weapon systems. Even if they have failed, they’ll learn from the reason of the failure. Maybe next time they can upgrade their systems and have better results. I think this is part of the process of developing anti-missile defense systems," Cheon Seong-when, a visiting research fellow at the Asan Institute for Policy Studies in Seoul, who served as a presidential secretary for security strategy in South Korea until early this year, told Sputnik. US security experts expressed similar views on the results of the recent unsuccessful missile test. "Every missile test is done for a reason in order to clarify it does indeed do what it’s designed to do. If we find it does not do that, we have to go back and find out why and learn the lessons accordingly. That’s the process which the United States is still going through. I think the level of reliability that we have at the present time is ‘getting there, but it’s not there yet’. 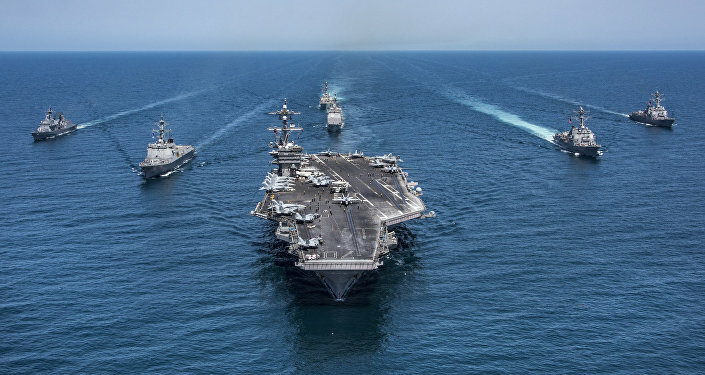 It’s a technology that is still being perfected," Charles Vick, an expert on missiles systems and a senior analyst at GlobalSecurity.org, a private research group in the US city of Alexandria, Virginia, told Sputnik. Despite the recent failed test, the US missile defense system is still the best choice available for US allies in the region, the Virginia-based expert argued. "The reality is this is a system still under development. It’s also a system that nobody else is producing to the level, quality and application we have been through. The program is separate from what Russia has, which they’re not selling. That says a great deal about the limits of what we have to do strategically in dealing with North Korea," Vick said. Cheon suggested that Seoul may become interested in getting involved in the development of such missile defense systems with the United States. "Currently, the South Korean government’s position is to have no plan to be linked with the US missile defense system. But that’s the current decision at the moment. As North Korean missile threats are going, the more threats we perceive, not only our government but also the general public in South Korea would shift toward stronger collaboration with US missile defense systems," he said. The recently tested missile for the Aegis system was co-developed with Japan.